Nothing bothers a homeowner as much as the plumbing related issues. If one ignores or waits for too long to fix a petty-looking problem, you might end up dealing with accidental damages. Plumbing services are one of the most crucial services required by every homeowner or property owner. Plumbing refers to the system that carries fluids to a range of appliances by using tanks, pumps, valves and other equipment. Some of the common uses of plumbing are water delivery, removal of waste, water heating, and cooling. · Drain cleaning services: Whether your kitchen sink has clogged or sewer drain gets blocked, drain clogs can be bothersome and lead to many unpleasant consequences. A kitchen sink clog can damage the cabinet and the area around, whereas sewer drain clogs can lead to unhygienic conditions and often destroy the affected area such as furniture and carpet. Prompt plumbing services can save one from petty issues turning into larger problems. It requires the right kind of tools, equipment, and expertise to remove gunk and sewage from drainage systems of showers, sinks, toilets, bathtubs, floor drains, and major line drains. · Pipe repairs: Is there an unusual rise in your water bills? Does your kitchen smell of gas and your gas pipe seem to have pinhole leaks? Has your sewer pipe broken? If the answer is yes, your gas, water, and sewer pipes require immediate repair services. Whether you have clogged pipes, broken pipes, leaky pipe joints, slab leaks, belled pipes, insufficient flow volume or poorly routed pipes, plumbers can deal with all kind of pipe-related issues. · Sewer system clogs: Some of the warning signals of sewer system blockages are gurgling sound arising out of drains, water pooling around floor drains, multiple drain clogging, water blocking in sinks, toilets, shower, etc., no water in the toilet bowl, and others. Often, tree roots in search of nourishment can reach and slip into tiny cracks or joints of an underground sewer pipe section. Once the trees find water, the tree roots can start growing further, ultimately bursting the pipes. Such intrusions can be highly damaging to the sewer system on the whole. Plumbing professionals with their experience of fixing various sewer system layouts can easily handle such threats. · Water heater related services: If your water heater is not able to produce warm water or it is now outdated, if your water heater has developed leaks or if you wish to install a water heater in your new house, plumbers can help you. These professionals not only repairs, services or installs water heater systems, but also ensures that the system adheres to the prescribed energy efficiency standards. These days, energy-efficient Tankless water heater systems are widely accepted as they reduce the energy bills by as much as 30%. A hybrid system that combines conventional water tanks with heat pumps and uses existing water and electrical connections can reduce bills up to 60%. 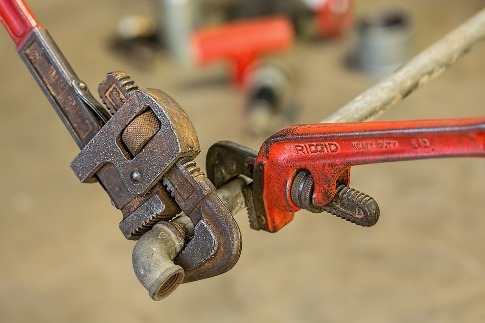 · Hydrojetting services: Hydrojetting is one of the popular plumbing methods that uses water under high pressure to remove dirt, sand, grease, debris, and clogs from pipe walls. You require state-of-the-art equipment and expertise for such a service. This process also eradicates bad odour and harmful bacteria along with the debris present in the pipes. Also, it is a faster and more efficient alternative to manual labour processes. · Plumbing video camera inspection: You can need video camera inspection for many reasons. It can be because you lost a sentimental item down a drain and want to retrieve it. It can also be that you want to monitor the septic systems, or if you're going to inspect a new house's plumbing related problems before moving in or if you want to remodel your kitchen or toilet and want to ensure if the new infrastructure can withstand the additional water and fluid flow among others. Camera equipment can accurately diagnose the plumbing problems and fix them as per requirements. · Trenchless pipe lining services: There was a time when a crack or hole in underground sewer pipe beneath your lawn would imply tearing up of the lawn. Trenchless pipe lining is a non-invasive method of fixing pipelines efficiently and effectively. The technique takes lesser time, preserves your lawns, walls, and floor, and it is more permanent. · Leaking pipes and frozen pipes: The sound of constantly running water can identify leaking pipes, odour generating from walls near drains or sewer systems, wet floor or ceilings, and a sudden surge in water consumption. Leaking pipes can prove to be heavy on the pocket for both homeowners as well as businesses. Similarly, if your water pipes and sewer system are not well insulated to stand the extreme cold temperatures during the winter season, then this may cause serious problems. Low temperatures create pressures on the pipes that ultimately lead to cracks, bursts or explosions. Some of the pipes that are most vulnerable to freezing are outdoor pipes, outdoor hoses, and water sprinkler lines. · Backflow prevention services: Backpressures or backsiphonage can contaminate the water which can potentially affect the entire colony where you reside. Hence, your backflow devices must be up to the prescribed codes. Some of the recommended backflow devices are air gaps into sink and basins, vacuum breakers on hose or sills, ballcocks for toilets, dual check valves for public supply connections, etc. Some of the other plumbing services include slab leak detection, plumbing diagnosis, plumbing system maintenance; well pump installation, repair and replacements, sump pipes, re-piping, garbage disposal, tunnel drain replacement, clogged drains, water softener installation and repair among others. Be a responsible citizen and take care of your home because ‘the home is where the heart is’!